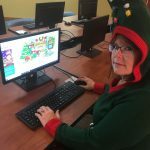 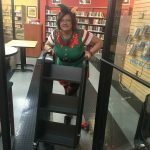 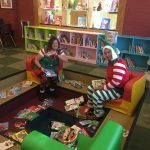 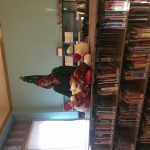 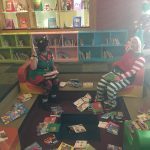 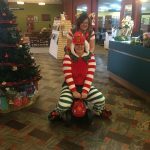 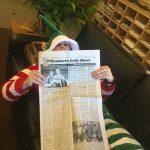 Naughty Librarian elves spoke with Santa about Twinkles (our Elf on the Shelf) coming to visit the Anadarko Community Library. 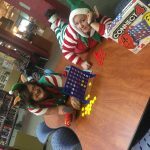 This excited them so much that they started wreaking havoc in the library. 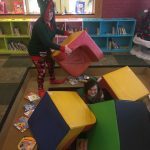 They were climbing on shelves, displays, and book trucks, playing games and coloring on top of tables, standing in chairs having pillow fights, riding toys in the library, throwing books, making messes every where they went, and eating food in the library! 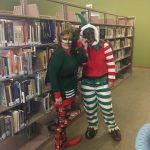 We have to teach these naughty librarian elves how to behave in the library! 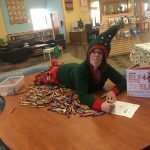 Please help us this holiday keep an eye out for naughty elves and teach them how to behave! 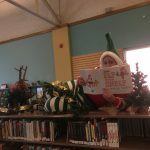 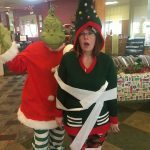 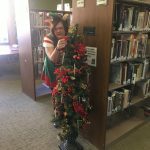 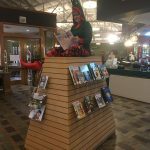 Grinch wraps up library elf up in toilet paper! 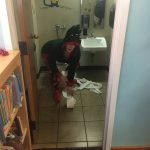 Naughty Elf playing with the toilet paper! 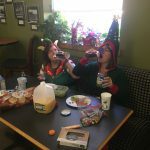 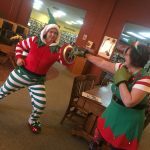 These naughty elves know there is no eating in the library! 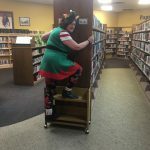 Naughty Elf, No climbing in the library!